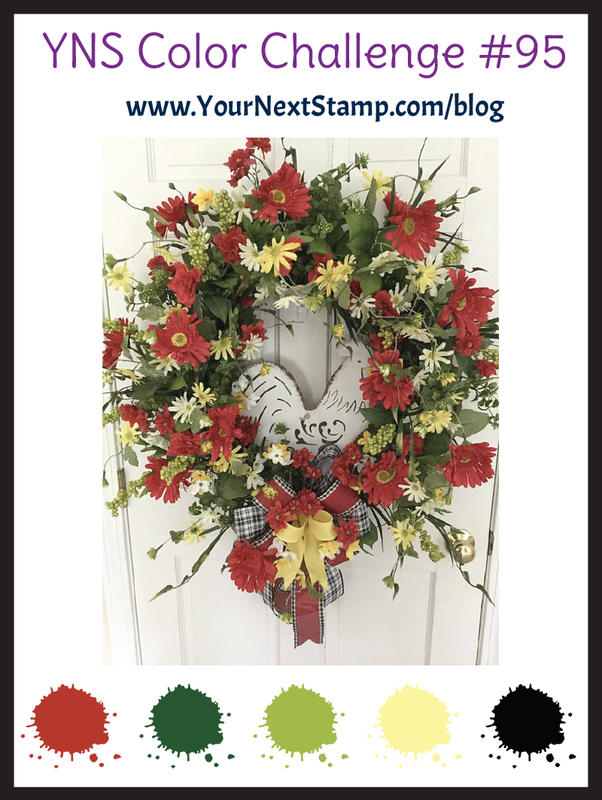 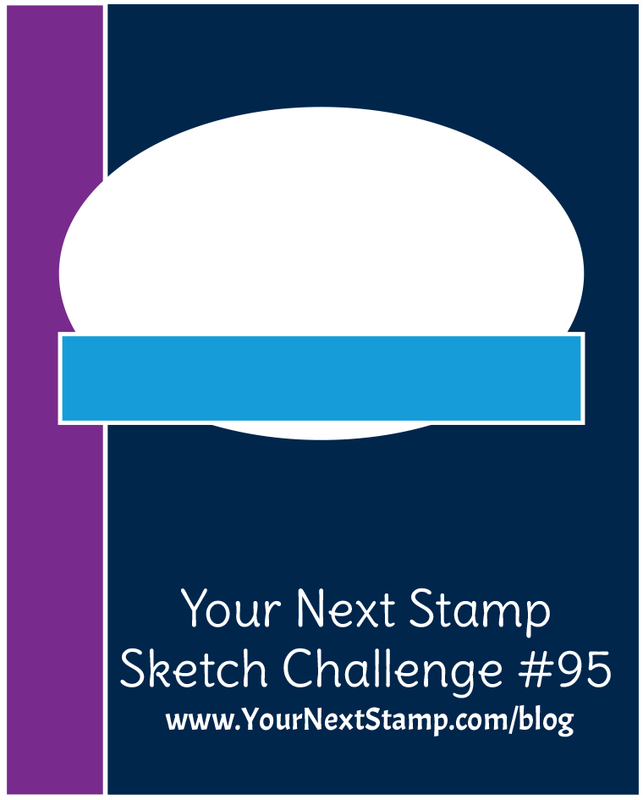 Your Next Stamp Sketch and Color Challenge #95! 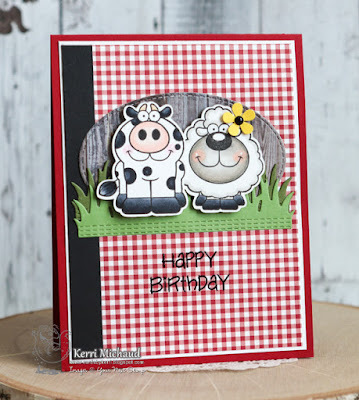 I used the adorable Funny Farm Crew Stamp Set for my images. I stamped them with Black Olive Ink and colored them with Copic Markers. 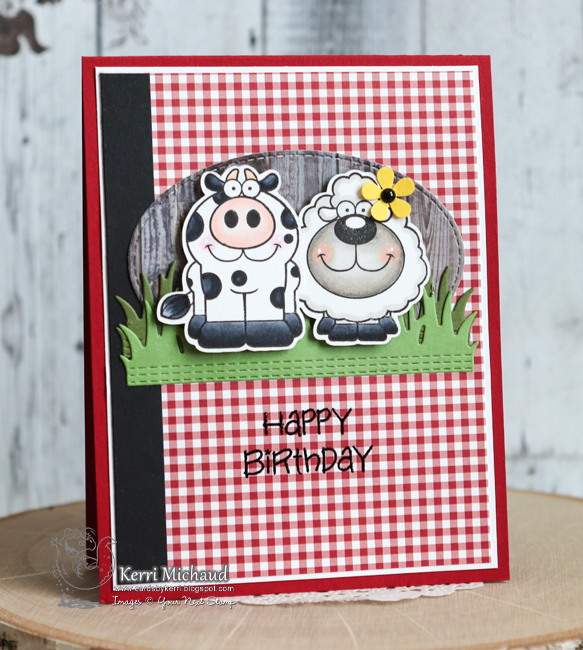 I added a little die cut flower to the sheep and used a Vintage Holiday Gumdrop for the center. 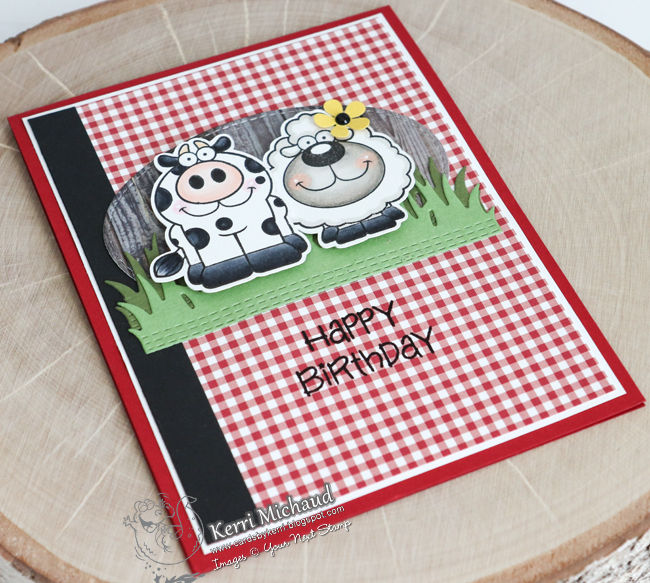 I cut an oval out of some dp that looks like a weathered fence and then added the grass cut with the Stitched Grass Die. 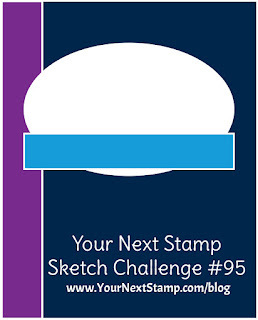 I used dp from the MFT Tiny Check Paper Pack for the background, and then heat embossed my sentiment directly onto the dp.